Congratulations to our client Mark Skrzypiec, Head of Logistics at Miele ANZ, who is a finalist in the 2017 Australian Supply Chain and Logistics (ASCL) Awards Industry Excellence category. The Industry Excellence Award recognises and acknowledges outstanding achievements and contributions by an individual currently engaged across the supply chain industry. 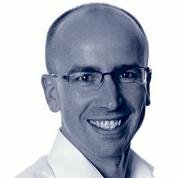 Mark joined Miele ANZ as Head of Logistics in December 2016. He is a highly experienced and skilled supply chain professional with 13 years’ experience managing logistics and distribution operations in the manufacturing and wholesale distribution area and third-party logistics. Mark was instrumental in designing and establishing a new Australian logistics footprint as a result of a project he initiated. With a need for two new distribution sites in Brisbane (6,000sqm) and Sydney (16,000sqm), Mark commissioned the project to investigate how best to accommodate the needs of Miele’s unique product and distribution model. developing a layout for each site based on the ideal high-density storage solution. To achieve this, alternative storage solutions were modelled in order to consider trade-offs between seasonal flows, utilisation levels, footprint, productivity and safety. Based on this modelling, alternative layouts were constructed, taking into account growth projections by product type. “Mark demonstrated innovative thinking and an exceptional understanding of supply chain logistics as he investigated materials, information and finances across the process from supplier to manufacturer to wholesaler to retailer to consumer,” explains Siecap Supply Chain Director Geoffrey Knowles. Pooja Bhatt, from Pitney Bowes. The winner will be announced at a gala dinner at Sydney’s Luna Park on the 17 November 2017.